(File pix) Public Investment Bank Bhd says the FBM KLCI was in the red after US and European stocks retreated on Thursday on growing concerns about US-China trade tensions and slowing economic growth. 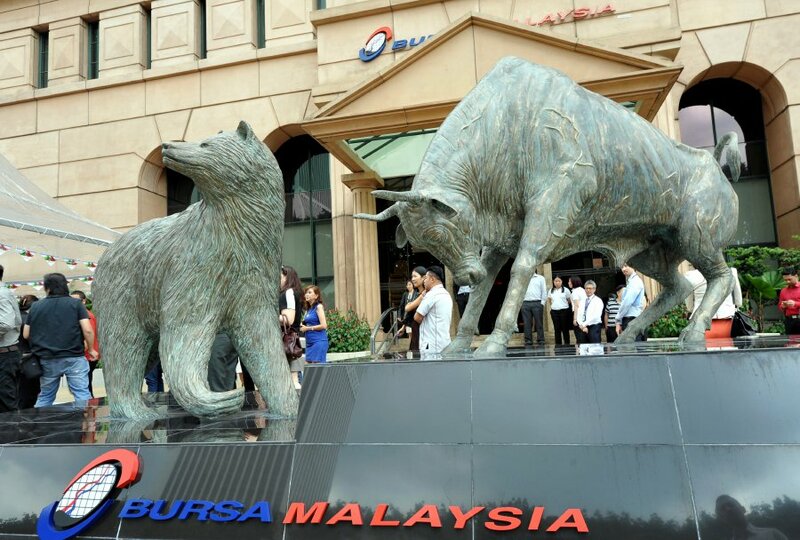 KUALA LUMPUR: Bursa Malaysia opened lower today tracking losses on Wall Street and in Europe, following the United States-China trade woes, dealers said. At 9.06 am, the benchmark FTSE Bursa Malaysia KLCI (FBM KLCI) was 5.63 points lower at 1,687.76 from Thursday’s close of 1,693.39. Meanwhile, the research firm said in Europe, government bonds rallied and equities weakenedafter the European Commission cut its economic growth forecasts for the Eurozone. Sector-wise, the Financial Services Index inched down 0.87 of-a-point to 17,638.29, the Plantation Index shed 11.73 points to 7,308.04 but the Industrial Products and Services Index was 0.04 of-a-point higher at 161.48.